Italian Sausage Soup recipe for a creamy, comforting soup with noodles that is full of flavor and perfect for a family dinner during the cold winter months! Sponsored by Reames® Egg Noodles. The holiday season is so busy and it’s important to have a hearty dinner to keep you going. Plus, it feels good to reconnect while enjoying a meal together. Italian Sausage Soup is the perfect choice for a family dinner. It’s easy to make and can be served with a simple salad and a loaf of crusty bread. Where is the Italian Sausage Soup recipe? In this post, I will share step-by-step instructions with photos for how to make the soup, as well as answering FAQs about the recipe and sharing a video. But you can go directly to the recipe by scrolling down to the bottom of the post. One of the reasons this is a great meal for Christmas is that it has red peppers and green spinach so it looks festive. 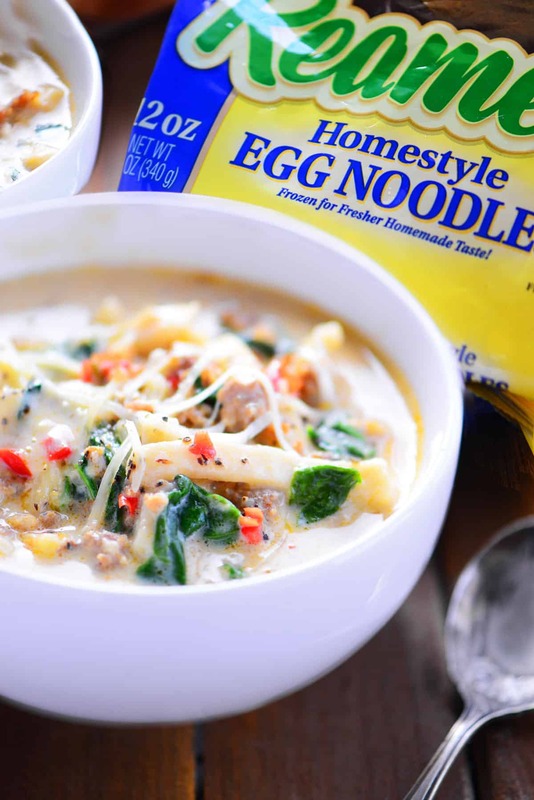 Also, it is easy to make all in one pot and the Reames Frozen Egg Noodles give it that incredible homemade taste without the extra work of homemade noodles! Reames Frozen Egg Noodles are made with three simple ingredients: eggs, flour, and water – just like you’d make them from scratch. Reames Frozen Egg Noodles are made from simple, natural ingredients and are frozen fresh to maintain their like-homemade flavor and texture. Click here to find out where to buy Reames Frozen Egg Noodles near you. Starting with browning the Italian sausage. Purchase ground Italian sausage if you can find it at your local grocery store. If only the sausage links are available, you can slit the casing and remove the sausage inside. Italian sausage is available in mild or hot. I used the mild for my family but if your family likes spicy sausage, use the hot one or a combination of the two. Use a large pot to brown the sausage and reduce the number of dishes that need to be cleaned afterwards. After draining the sausage, using the same pot to saute the diced onions, diced red peppers, and garlic. Return the pot to the heat and melt the butter. 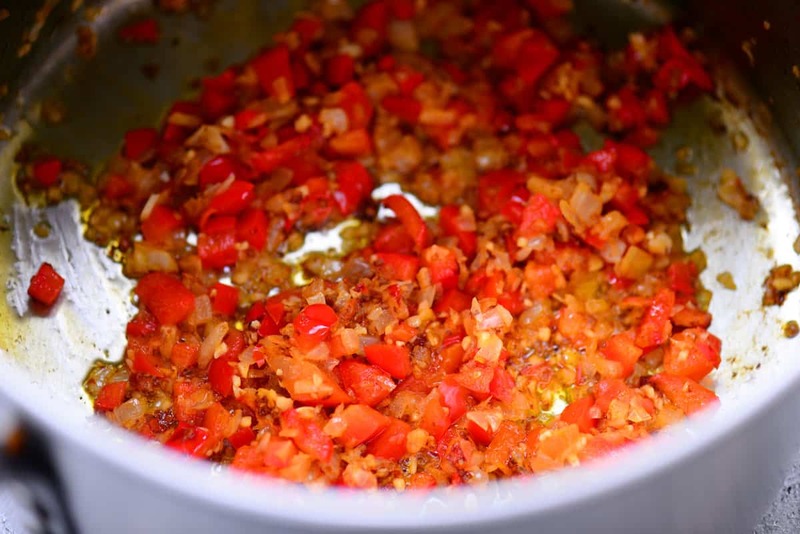 Add the diced onions, diced red peppers, and garlic. Saute over medium heat for 4-5 minutes until tender. Sprinkle with flour and stir to coat. Cook for about one minute, stirring constantly. Then, stir in the chicken broth and bring the mixture to a boil. Once the soup is boiling, stir in the Reames Frozen Egg Noodles. 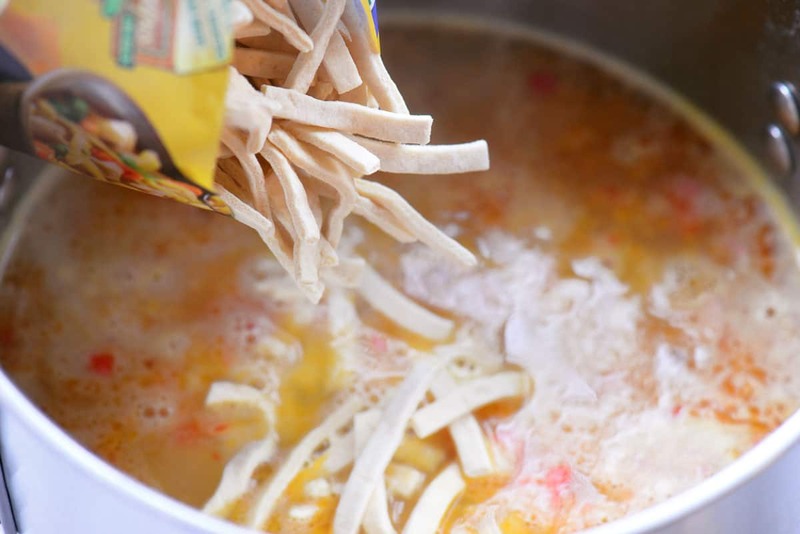 Return the soup to a boil and cook for 20 minutes, stirring often until the noodles are fully cooked. If you prefer to use another kind of noodles in this recipe, reduce the cooking time. Boil until the noodles are tender. I’ve got to share a little experience from the grocery store. When I was buying the ingredients for this Italian Sausage Soup, the woman bagging her groceries directly across from me leaned over to tell me that she loves Reames Frozen Egg Noodles. She said it’s what she always uses to make her chicken noodle soup and that they are the best noodles. I really enjoy all of the interesting people I meet and food conversations I get into at the grocery store! 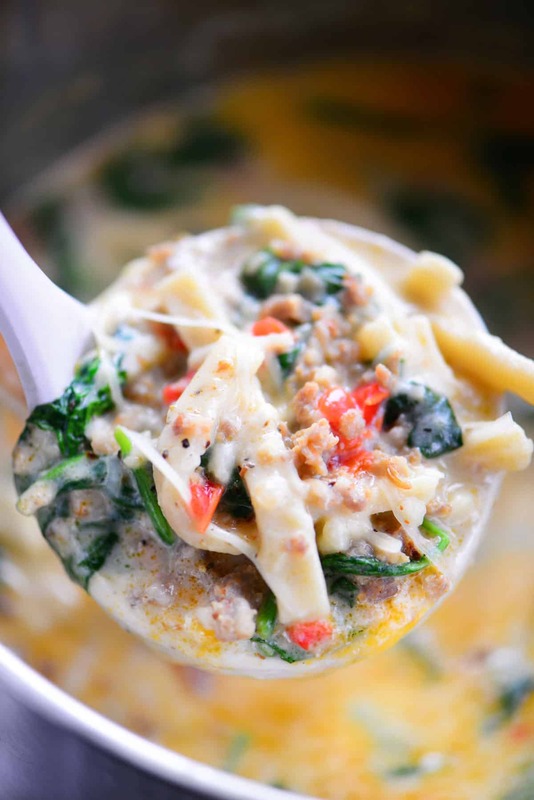 Once the noodles have finished cooking, stir in the sausage, cream, and spinach. Cook for several minutes until heated through. Add black pepper to taste and serve with shredded parmesan. 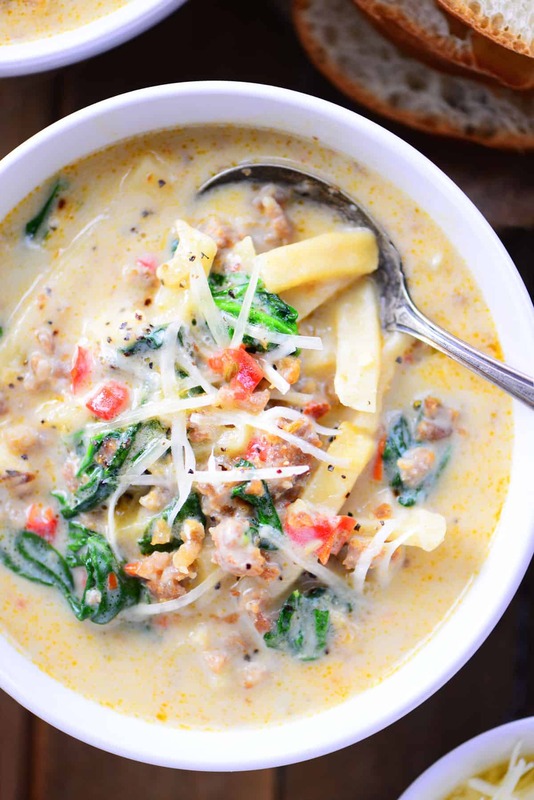 This Italian Sausage Soup recipe is creamy, comforting and full of flavor. It’s the perfect choice for a family dinner during the cold winter months! 1. Can I use a different kind of noodles? Yes, you can choose your favorite noodle and reduce the boiling time to whatever is needed for the kind of noodle you chose. 2. Would this soup be good without the noodles for a keto diet? Yes, it would be delicious. You can increase the amount of Italian sausage and vegetables to make it more hearty. 3. How can I make gluten-free Italian Sausage Soup? Use a gluten-free flour and gluten-free noodles. 4. Can I use Italian sausage links instead of ground Italian sausage? Yes. To use the sausage links, cut the casing and remove the sausage from inside. 5. Does Italian Sausage Soup freeze well? Yes, it is perfect for the freezer. 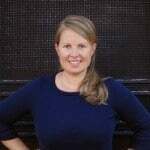 It can be stored in airtight containers in the freezer for 2-3 months. This hearty Cheesy Pizza Soup is like comfort in a bowl with a creamy tomato base, homestyle noodles, mini pepperoni and lots of cheese. It tastes like pizza and is delicious served with garlic bread and salad. This crockpot recipe for Slow Cooker Chicken Pot Pie Soup is a hearty dinner idea for chilly nights. Serve with puff pastry breadsticks instead of pie crust! Homemade Tomato Soup from Spend With Pennies is so much better than the canned kind. Chicken Alfredo Soup is homemade comfort in a bowl. With chicken, alfredo sauce, noodles, and bacon, this soup is perfect for a family dinner on a cold winter night. The whole family will love this copycat One Pot Olive Garden Zuppa Toscana Soup from Mom On Timeout. It’s loaded with bacon, sausage, potatoes, and kale. This Slow Cooker Taco Soup recipe is so easy to make and so flavorful. Just brown the meat, put everything in the crockpot to cook, and then just stir! Serve with corn chips. 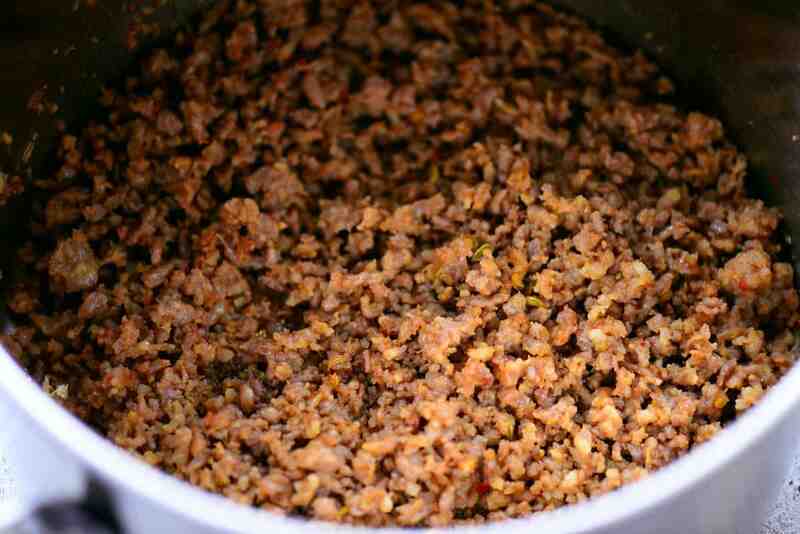 Brown the Italian sausage in a large pot. Drain the excess fat and set the sausage aside. Using the same pot, return it to the heat and melt the butter. Add the diced onions, diced red peppers, and garlic. Saute over medium heat for 4-5 minutes. Sprinkle with flour and stir to coat. Cook for about one minute, stirring constantly. Stir in the chicken broth and bring to a boil. Once the soup is boiling, stir in the Reames Frozen Egg Noodles. Return to a boil and cook for 20 minutes, stirring often. 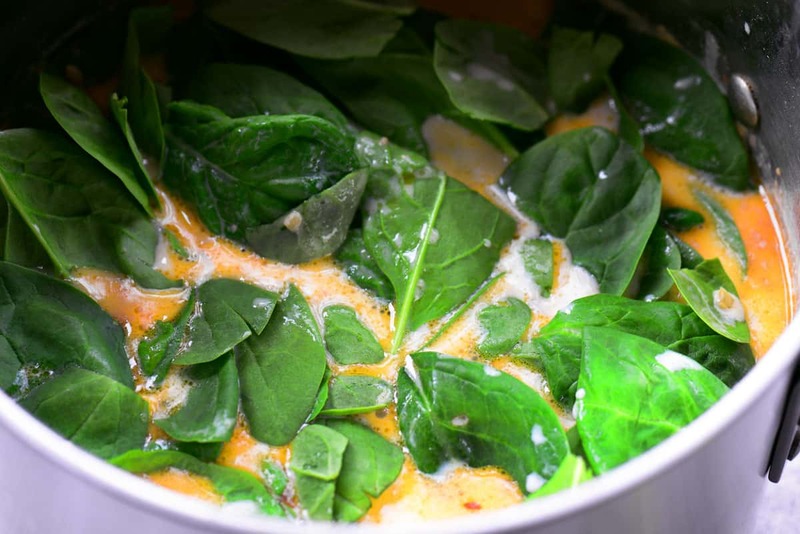 Stir in the sausage, cream, and spinach. Cook for several minutes until heated through. This is a sponsored conversation written by me on behalf of Reames®. The opinions and text are all mine. Can this recipe be doubled?????? Yes! It sure can. There is also a slider on the recipe card in the blog post. If you hover over the number of servings, the slider should appear and you can choose the number of servings you want to make. The rest of the ingredients should increase for you. Best soup ever loved it!! I made this last weekend and it was so delicious! Will be making this again! Thanks so much! This recipe turned out great and was delicious even in the month of June! Thank you for sharing! The Reames noodles are the best thing about this recipe. Use them next time or make fresh. That’s the only way to make this delicious soup. I love black eyed peas with ham soup. Add broth, leeks, carrot, celery, potato, chickpeas, kale, and soy sauce to a large saucepan. Bring to a boil over medium-high heat, reduce to a simmer, and cook, stirring occasionally, until potatoes are completely tender and beginning to fall apart, about 25 minutes. Stir in cornstarch slurry and allow to simmer 2 minutes longer. Season to taste with salt and pepper, stir in lemon juice and parsley, and serve and enjoy. Favorite Christmas/Holiday soup recipe is Italian Wedding Soup followed by Stone Soup with Holiday leftovers. I’ve never been a soup person. 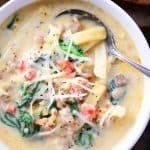 The Italian Sausage soup you featured looks good if I left out the noodles as I’m on a keto diet. I make a chicken orzo soup with onions and parley. Some italian wedding soup with the fire going is wonderful! My favorite soup during the holidays is homemade chicken noodle soup. It’s not really a soup but love my moms chicken and dumplings so creamy and delish..
Beer Cheese Soup is a Holiday tradition for us! My favorite holiday soup is Broccoli and Cheese soup made in the slow cooker. Chunky chicken noodle with vegetables. Snickerdoodles. They’re simple to make, delicious, and you can make them as a family! I’m all about the butternut squash soup! It’s the bomb! Cheesy potato soup is a favorite. I love roasted broccoli cheddar soup. That or black bean soup with some homemade cornbread! My favorite Christmas/Holiday soup recipe is Cream of Turkey soup with rice. Cheddar Broccoli soup which is so creamy and rich tasting. My favorite winter soup is broccoli cheddar.